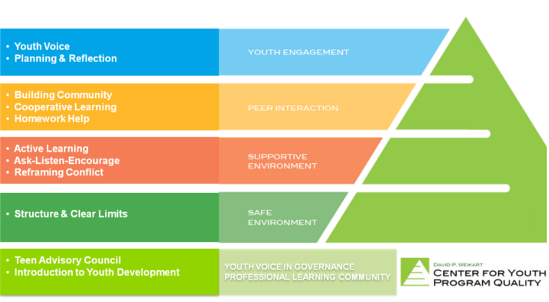 The workshops in the Youth Work Methods series are aligned with the Youth PQA. These interactive and hands-on courses provide participants with practical skills that are geared to improve the quality of interactions with youth. Reframing Conflict – What role do you play in conflict situations with the youth in your program? Do you know how to turn a conflict situation into an opportunity for growth? This interactive workshop introduces participants to the High/Scope step-by-step model for reframing conflict as well as general principles of conflict resolution. *Light snacks will be provided, but we will not be providing lunch; feel free to bring additional snacks if necessary.